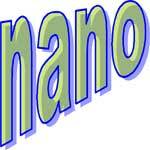 Question 2: Who first used the term nanotechnology and when? Question 3: What is a buckyball? Question 4: Which of these historical works of art contain nanotechnology? Question 5: What is depicted in this famous image? Question 6: Richard Feynman is often credited with predicting the potential of nanotechnology. What was the title of his famous speech given on December 29, 1959? Question 7: How many oxygen atoms lined up in a row would fit in a one nanometer space? Question 8: Which one of these statements is NOT true? Question 9: Which of these consumer products is already being made using nanotechnology methods? Question 10: If you were to shrink yourself down until you were only a nanometer tall, how thick would a sheet of paper appear to you? Question 11: What is graphene? Question 12: Which of these well-known phrases from Star Trek depends on the (fictional) use of nanotechnology? Question 13: What is grey goo? Question 14: Which one of these condiments is unique due to the nanoscale interactions between its ingredients? Question 16: What is the 2017 budget for the U.S. National Nanotechnology Initiative? The technology used to design and build the laser-guided photonic gyroscopes used in aviation. Question 19: A silver coin with a diameter of 4 cm (such as the U.S. silver dollar) contains 26.96 grams of coin silver and has a surface area of about 27.7 square cm. If the same 26.96 grams of coin silver were divided into particles 1 nanometer in diameter, what would their combined surface area be? Question 20: And what exactly is a quantum dot? A semiconductor nanostructure that confines the motion of conduction band electrons, valence band holes, or excitons in all three spatial directions.